When an automatic mixer is unavailable, here is the workflow that automates the elimination of undesired spill in multi-mic recordings. 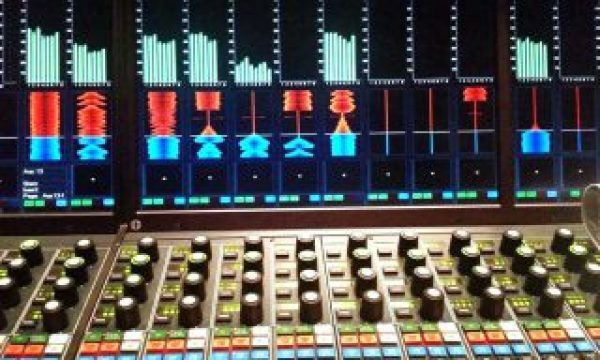 Perhaps the most efficient way to resolve the problem of crosstalk in multiple microphone recordings is to use a good mixer with automatic capabilities, like the ones from Audio Technica, Behringer, Shure and Sound Devices. With those automatic mixers, the individual’s microphone who is not speaking is attenuated until s/he begins to talk. They react much faster than any human operator could. However, this article is for those situations when you can’t use an automatic mixer. In this workflow, you record each microphone source independently as an uncompressed WAV or similar lossless format. Ahead is the rest of the workflow, which involves Auphonic.com. With a physical audio recorder which is capable of recording independent tracks. 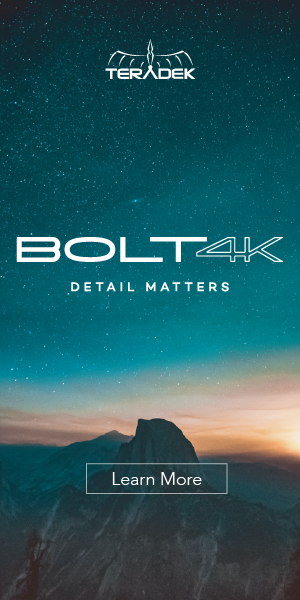 Lately I have been doing that with the Zoom H5 recorder (Amazon link • B&H link). 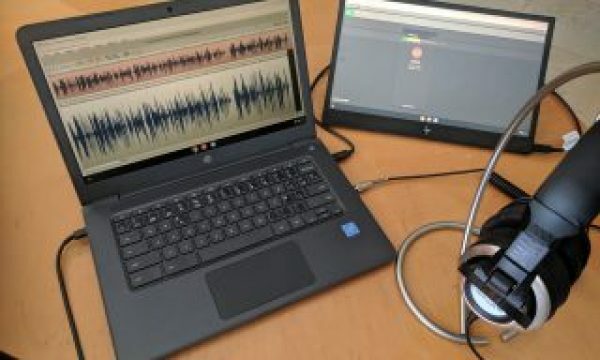 With a multichannel interface connected to a computer with a multitrack-capable recording software, like Hindenburg Journalist Pro (covered in many of my articles), where you can assign each source into a different track and then export them individually. Record a quasi-stereo recording with a physical stereo recorder with two microphones and then separate the two channels into separate, individual tracks later. 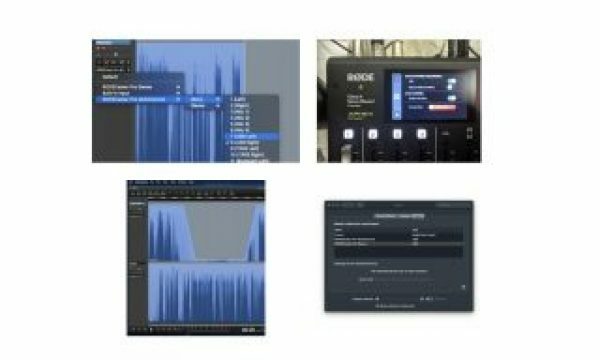 Many audio editing programs like Hindenburg Journalist Pro are capable of separating a stereo recording into individual mono files, which can then be exported individually. Some recorders from Sound Devices —like the MixPre-3 (B&H link) which I am evaluating for an upcoming review, and others— record a polyphonic WAV file. The polyphonic file can later be separated using Sound Devices’ own Wave Agent software, which is available free for both macOS and Windows. That software does many other things, but this particular function is called Poly Split. If you don’t already have one, create a free account at Auphonic.com. As of press time of this article, Auphonic offers up to 2-hours of free standard processing per month, or up to 20 minutes of processing per month for multitrack processing. After that, the pricing is available here. Go to Productions and then New Multitrack Production. Click on Select File to upload the first desired track. Optionally, name that first file or leave the default name Track 1. Since Auphonic’s algorithm is so intelligent, I always mark Filtering (this is low cut to reduce rumble) and Noise and Hum Reduction (Auto), even though it rarely detects any noise or hum and therefore does nothing, according to the final report, in my experience. For the next track to upload, click on Add Audio Track. Then repeat steps 3-6 for each additional track, marking each one as Foreground Track. When finished uploading and marking up each track, slide down to the near bottom of the page to the section called Output Files. Select WAV and mark it as Mono. Slide down a bit more to the section called Master Audio Algorithms. Select all options: Adaptive Leveler, Adaptive Noise Gate, Crossgate and set Loudness Target to -16 LUFS (or other desired level). Slide down to the bottom of the page and click on Start Production. Follow the rest of the instructions on screen. Auphonic.com will nearly magically deliver a clean mono WAV file, ready to be edited easily. In my case, this process takes less than 3 minutes and saves me about 3 days of work. I highly recommend this process and Auphonic.com’s service, both the multitrack and standard. More info at Auphonic.com. No manufacturer is specifically paying Allan Tépper or TecnoTur LLC to write this article or the mentioned books. Some of the other manufacturers listed above have contracted Tépper and/or TecnoTur LLC to carry out consulting and/or translations/localizations/transcreations. 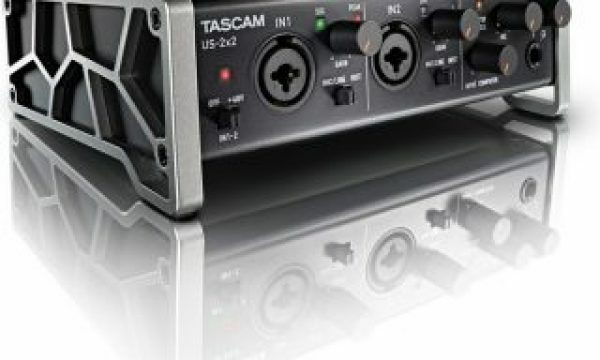 Many of the manufacturers listed above have sent Allan Tépper review units, including Audio Technica and Sound Devices. 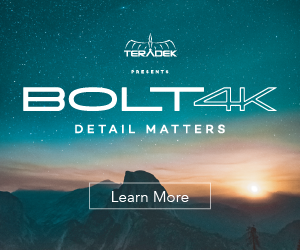 So far, none of the manufacturers listed above is/are sponsors of the TecnoTur programs, although they are welcome to do so, and some are, may be (or may have been) sponsors of ProVideo Coalition magazine. Some links to third parties listed in this article and/or on this web page may indirectly benefit TecnoTur LLC via affiliate programs. Allan Tépper’s opinions are his own.